I injured my foot back in 2010. According to the person posting to Runner’s World social media at the time, what I did wasn’t possible: I’d ruptured my plantar fascia. For 9 months I was reduced to hobbling and limping. I was signed off field work – I couldn’t drive; could barely get from my desk to the staff canteen, never mind walk far enough to do my routine work. I could just about cycle, as long as it wasn’t for more than 30 minutes. As far as I could tell, my racing career was over. And I’d just bought a TT bike. It wasn’t cheap. Late that year, while camping, I discovered I was just fine when barefoot. In fact, I was just fine when I was wearing a pair of neoprene booties that formed part of my wetsuit. This got me to thinking, and so, although I did seek the advice of both a private podiatrist (rubbish AND expensive) and the NHS biomechanics specialist (brilliant and FREE), what I ended up with was a set of Vibram Fivefingers. 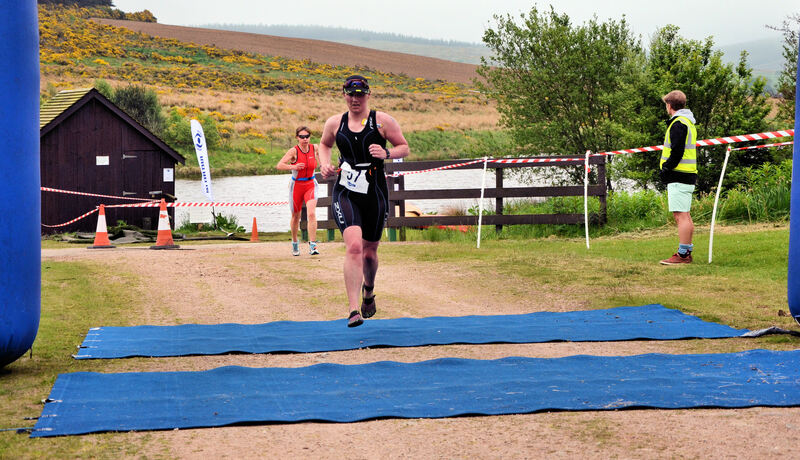 In 2013, after spending about 2 years re-learning how to run, having suffered swine flu and ended up with exercise-induced asthma (but of course), I went back to racing. And it has been my most successful year ever. My first race of the year saw a PB in the run. I DNSed one, because of illness, and completed four. I’ve won prizes worth 40 quid (which isn’t a lot, but is more than I’ve won in all my previous races). In my last race, I suffered a 3D failure, fell flat on my face, and fractured my wrist (which is why the blogs have been lacking in updates of late). 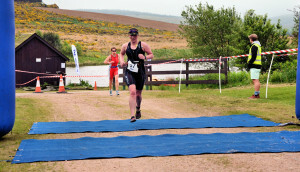 So imagine my surprise when Triathlon Scotland published the rankings (MS Excel spreadsheet) for 2013 and I discovered I’d come top in my age group for the North Region Sprint series. I was more surprised to discover I had the second highest points accumulation at Sprint distance in the whole of Scotland for my age group. I am, needless to say, chuffed to bits. In 2007 I did my first race, for a bet. In 2013, after a 3 year break for injury and illness, I won my first race. And here’s the joy of triathlon: yes, the elite racers are untouchable by most of us Age Groupers, but that’s no barrier to success. 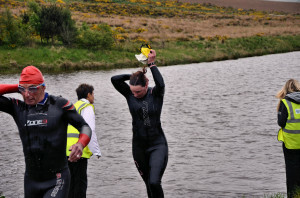 You might think you could never do a tri, that it’s too hard or you’re too unfit. Give it a go. There are plenty of events aimed at beginners, nice and short to give you a taste for it. Or, indeed, any other sport. It’s never too late, you’re never too unfit to start. Everyone starts somewhere, and everyone, ultimately, is competing against themselves. Just taking part, whatever your chosen sport, means you’ve achieved something fantastic. You never know. You might win something. It might even be a prize.